Printmaker David Davis was heard to say, "We have not seen brayers of this caliber and this quality since pre WWII." 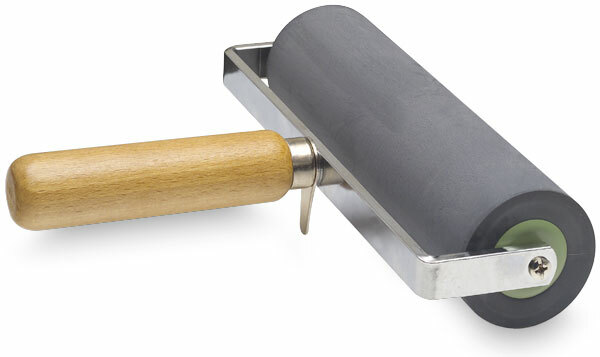 Holbein has harkened back to those days with this professional quality brayer. It meets the demands of all professional etching artists. The rubber is super soft, about ½" thick, durable, and long lasting. The brayer has a wood handle as a finishing touch.